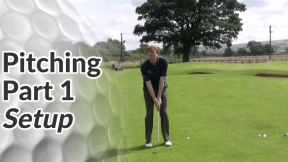 So in part 1 we looked at proper set up and how that will improve your pitching technique on the golf course. 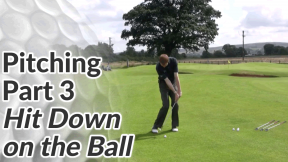 In this lesson, we’ll take a closer look at distance control. 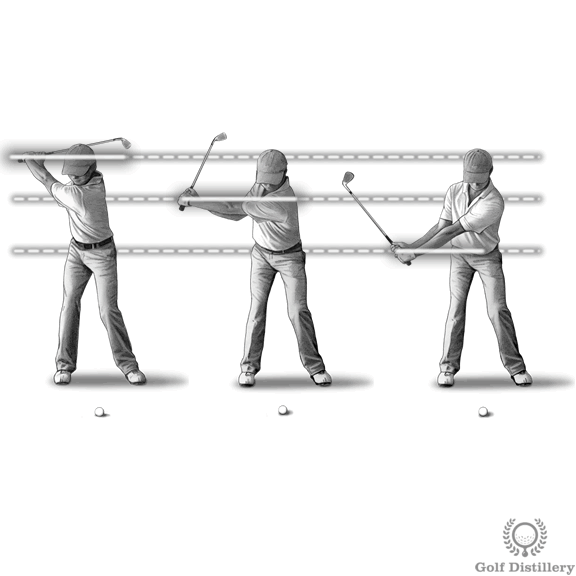 Take 3 lofted clubs to the practice range – perhaps a pitching wedge, gap wedge and lob wedge. 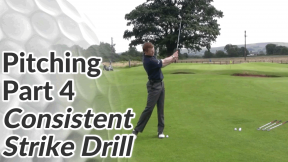 Take the most lofted club and hit 10 full shots (club parallel to ground behind your head). 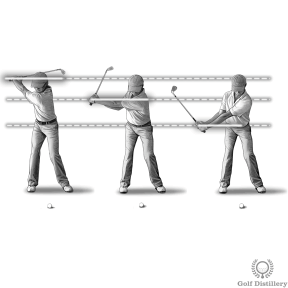 However, grip down the club slightly and take a slightly narrower stance than you normally would for a full shot. Pace out the average distance of those 10 shots. Now hit 10 more pitch shots this time only taking the club back until your arms are parallel to the ground and pace out the average distance. Remember to also grip further down the club and take a narrower stance. Finally, hit 10 pitch shots with a short backswing – only until the club shaft is parallel to the ground. You should be gripping right down the club with the narrowest stance. Pace out the average distance of those 10 shots. Repeat this for the other two clubs. You should now have 9 distances fairly evenly spaced apart. Memorise these or write them on a piece of paper that you can easily refer to in your golf bag. On the golf course, judge how far your target is and recall what club and what length of backswing is closest. Make a few practice swings of that length and go ahead and hit the shot.